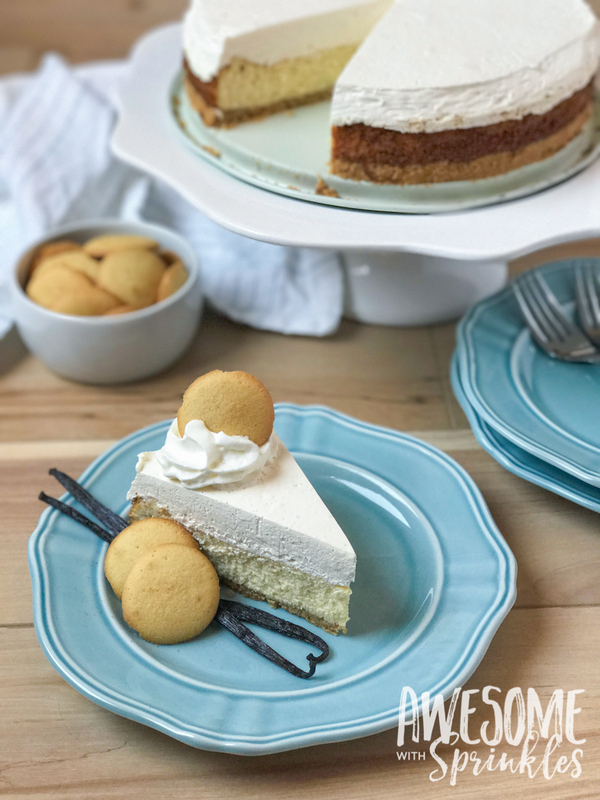 Y’all are going to LOVE this vanilla bean cheesecake. 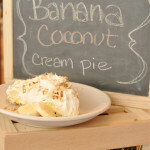 It’s easy, creamy and topped with a thick layer of whipped vanilla mousse! It’s a perfect “blank slate” for all of your favorite toppings! 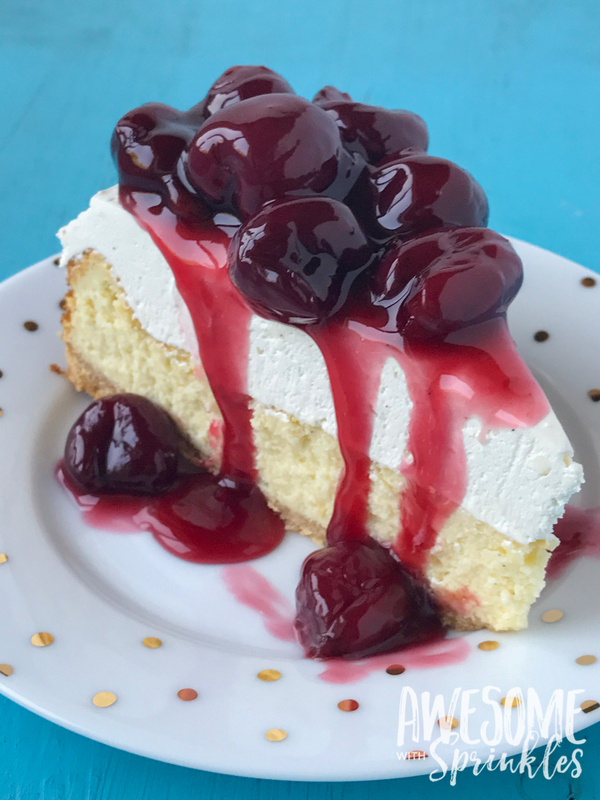 This is my FAVORITE cheesecake recipe. Hands down. I have been making it for almost a decade now and it has never let me down. Talk about tried and true! Cheesecake is The Boy’s favorite dessert (next to mint chocolate chip cookies) and one year he requested it for his birthday. I had never made cheesecake before and I was intimidated by all the recipes that required suspending the cheesecake in a “water bath” (which isn’t really as hard as it sounds, but at the time seemed scary AF). It was a success! It remains my favorite cheesecake recipe to this day. Grab your springform pan and let’s get baking! 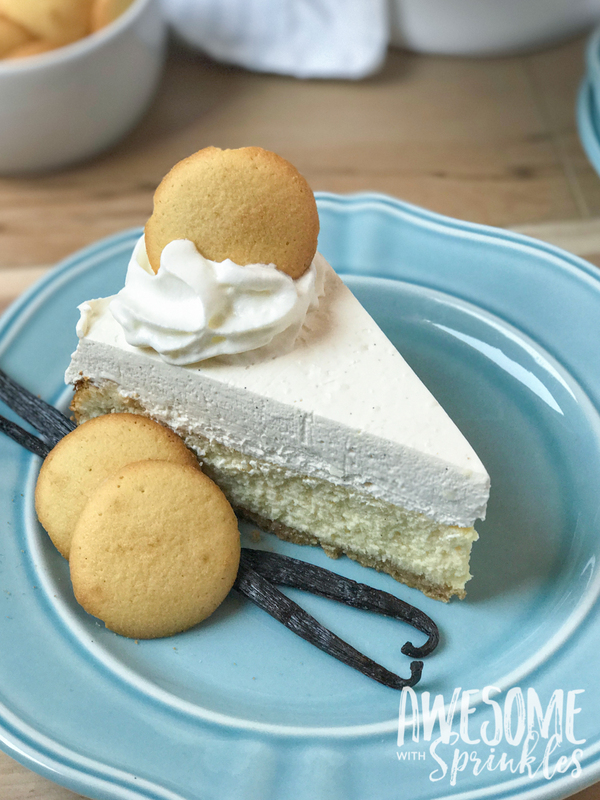 This vanilla bean cheesecake might be easy to make, but let me assure you, this vanilla is anything but “basic”. 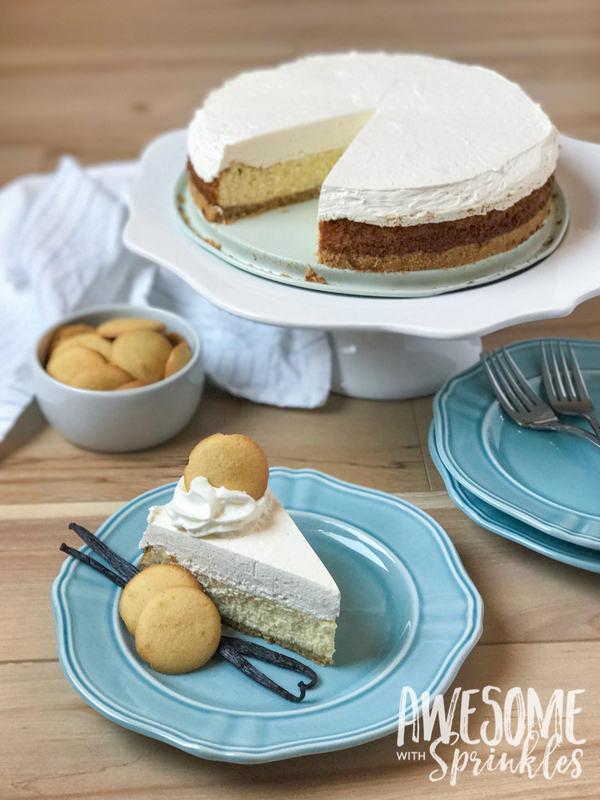 The cheesecake layer is rich (but not too dense) with a creamy texture. 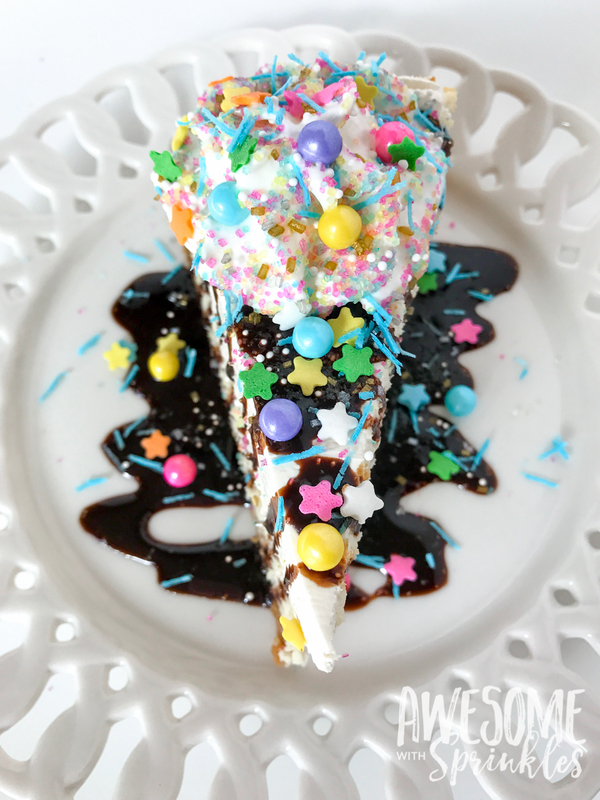 The thick layer of smooth, melt-in-your-mouth, vanilla mousse really takes it over the top! It’s almost like a double decker cheesecake. Soooo good! The vanilla beans or bean paste really gives the cheesecake a deep vanilla flavor. 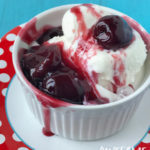 I prefer vanilla bean paste over vanilla extract anytime I am making a dessert because I feel it has a truer vanilla flavor. Sometimes those extracts have too much of an alcohol tinge to them and we want a more delicate vanilla flavor for this cheesecake. 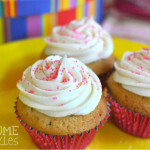 Also I really love the little brown flecks that it adds to the batter or frosting. BUT if you’re in a pinch and all you have on hand is vanilla extract, go ahead and use it. 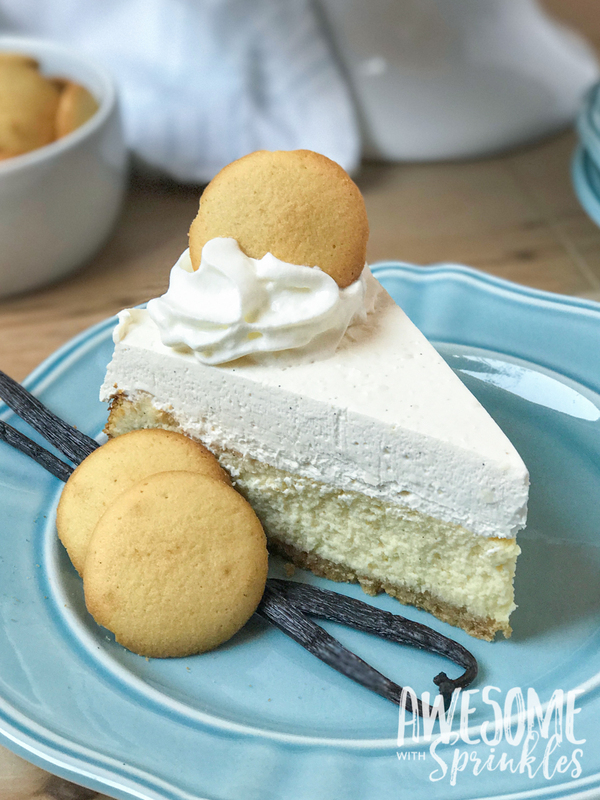 Rich and creamy with a thick layer of smooth vanilla mousse, this vanilla bean cheesecake may be easy, but it is anything but basic. Preheat the oven to 325º degrees F.
Mix cookie crumbs and melted butter and press into the bottom of a 9-inch springform pan to make the crust. 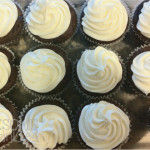 Beat the cream cheese, sugar, and vanilla bean paste with a mixer until blended and smooth and no cream cheese lumps remain. Beat in eggs, one at a time, blending until just incorporated. Pour mixture over the cookie crust. Bake for 50-60 minutes, or until the center is almost set and cheesecake is just golden around the edges. It may still be a little wiggly in the middle when you pull it out, this is okay. 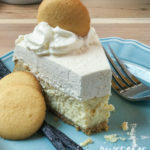 Run a knife or spatula around the edge of the cheesecake while it is still warm to loosen it from the sides of the pam. Let your cheesecake cool at room temperature. The cheesecake will settle and sink slightly as it cools. This is normal! 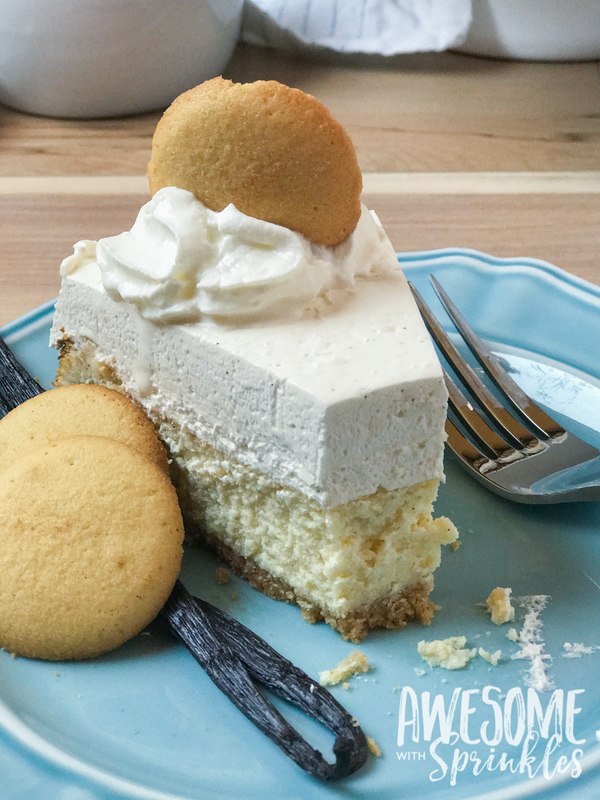 Now you *could* stop right here, and you would have a perfectly delicious simple cheesecake. But the vanilla mousse will really take it over the top! Just be sure that your cheesecake is cooled completely before you add the mousse or else your mousse will melt! And that would be a sad day. After the cheesecake is completely cooled it's time to add the finishing mousse layer! Beat cream cheese, sugar and vanilla bean paste until blended and smooth. Whisk in the whipped topping until incorporated. Spread evenly over the cheesecake layer and pop it into the fridge for 4 hours. After cheesecake is set, carefully remove the outer ring from the springform pan, slice and serve! Garnish with more cookies, top with fresh fruit, cherry sauce, caramel, drizzle with chocolate or simply eat it plain. You can't go wrong! 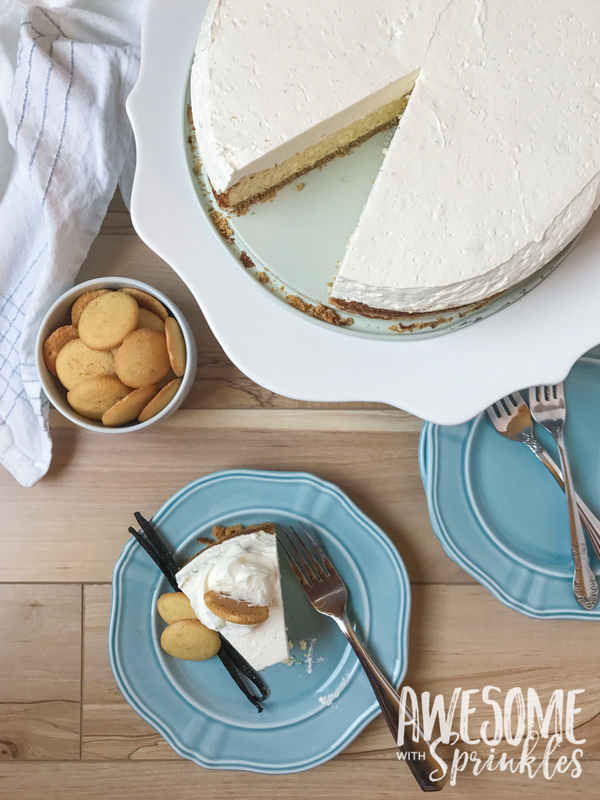 As I said before, this vanilla bean cheesecake is the perfect blank slate for your favorite toppings. Drizzle with chocolate or my favorite homemade salted caramel sauce from Sally’s Baking Addition for a rich salty-sweet flavor! Top with fresh berries. Sprinkle with chocolate chips or sugar sprinkles. 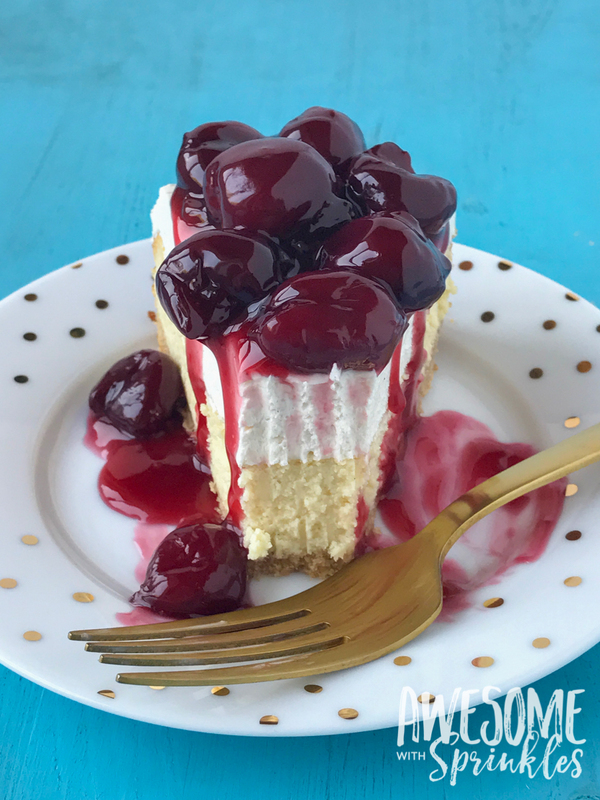 My rum cherry sauce is the perfect classic topping for a cherry cheesecake. I have even done a “build your own cheesecake” bar where I set out different sauces, fruit and toppings and let people do up their own slices however they’d like. It worked out great!